Keep your calendar up to date on school activities. Simply write, wipe away, and write again when it's time for a change. 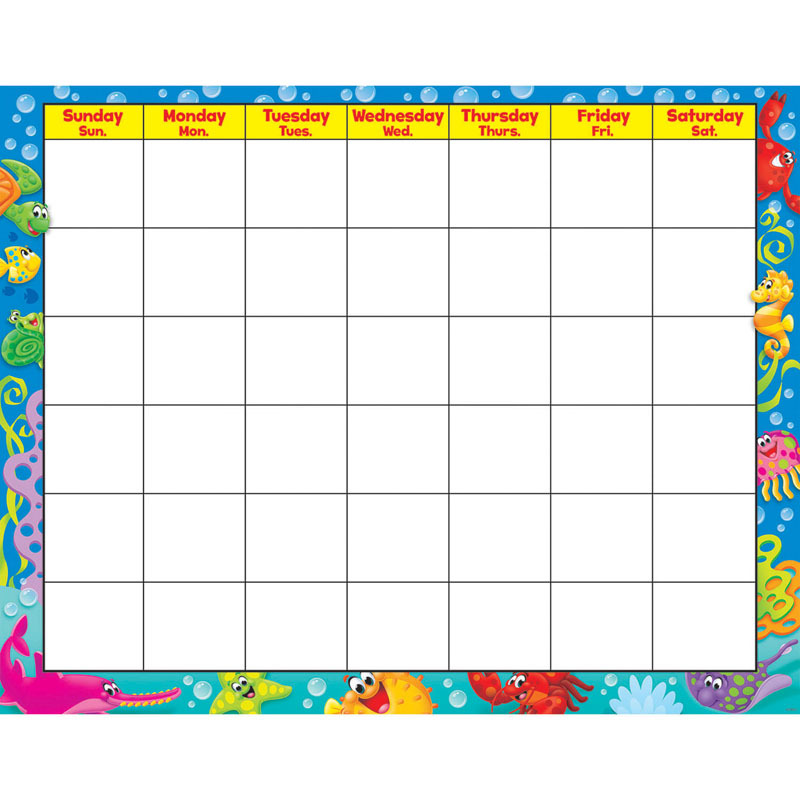 Trimmed with Sea Buddies™, this blank, reusable calendar invites dozens of uses. Learning activities included on calendar back. 22'' x 28''. Coordinates with Sea Buddies™ Collection. For best results, use with TREND Wipe-Off® Markers (T98003 and T98004). Writes easy ... wipes clean. They're perfect for all Wipe-Off® products and most reusable surfaces. Wipe-Off® Markers have low odor, nontoxic ink with a durable medium-point tip.